Make room for this shirt in your wardrobe! 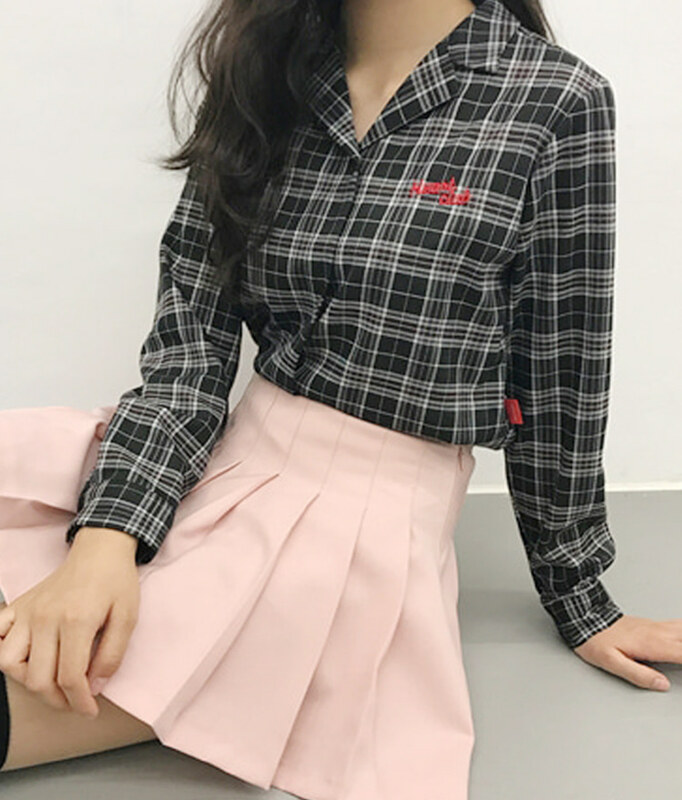 It is lightweight and features a notched collar, a concealed button-up front, long sleeves with split cuffs, an embroidered logo detail, and a mesmerizing check pattern. This shirt is great for off-duty wear with your drawstring-adjusted jeans and low-cut sneakers. (Heart button(s) not included in some photos.